You’ve probably heard it from a friend or read it online: you need to get the Mount Teide permit provided by the Teide National Park to climb to the summit. This is true, but don’t you worry because in this article we’re going to tell you absolutely everything you need to know about the famous Mount Teide permit. What is the Teide National Park permit for? Cable car base station, at 2,356 metres. Trails starting from the upper cable car station. Montaña Blanca trail, which connects the base of the volcano with La Rambleta. The Altavista Refuge where you can spend the night, at 3,260 metres. The fourth element on the list is made up of three trails, but only one of them reaches the peak of Teide: trail number 10, known as the Telesforo Bravo path. Access to this trail is restricted to a maximum of 200 people per day for conservation and security reasons. 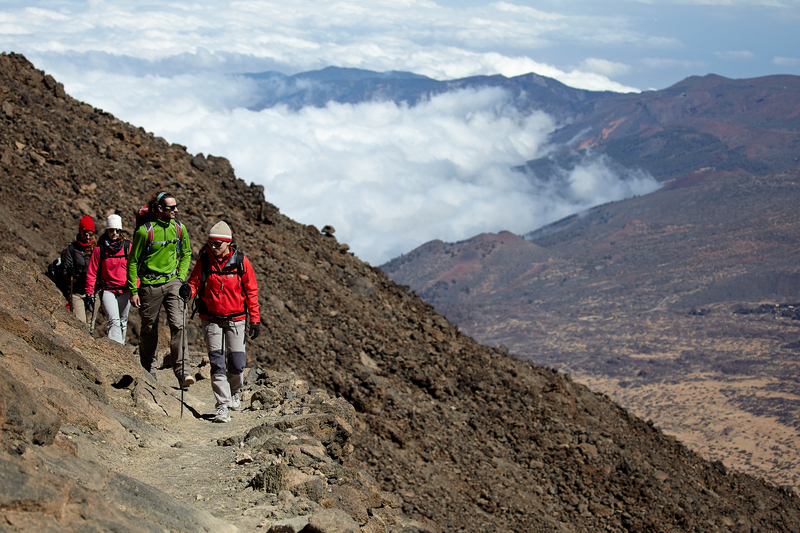 Did you know that the Teide National Park is the most visited park of its kind in Europe? 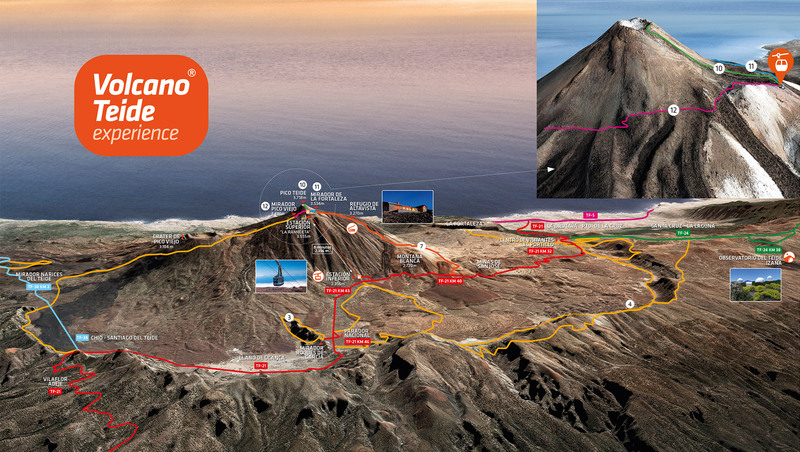 The Mount Teide permit will allow you to become one of the lucky 200 people who daily visit the highest point in Spain. These 200 permits to access the Teide peak are distributed among the general public and the Park’s official guides. If you are organising your trip to Tenerife with enough time in advance you can try this option. We are mentioning the fact of requesting the Mount Teide permit in advance because we are talking about the most visited National Park in Europe, plus the fact that there are only 200 permits to access the peak per day. In order to get the Teide permit online you will have to follow a simple process through the National Parks’ reservation website, which you can access here. 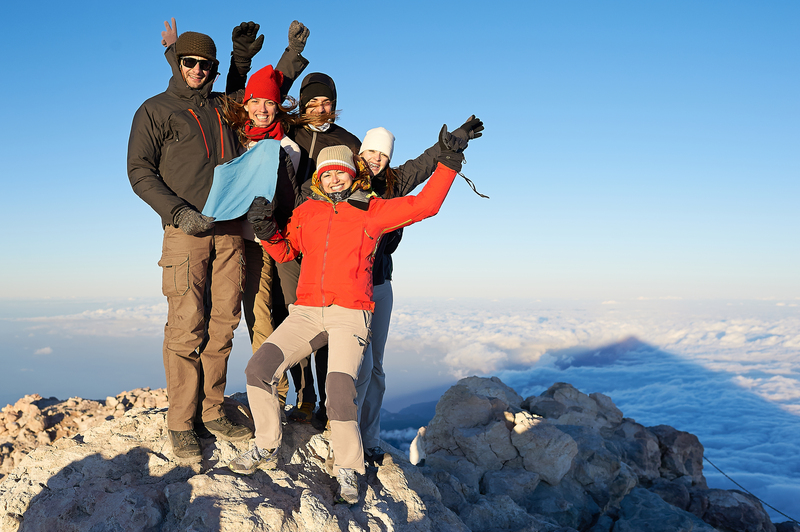 After this, choose the date and time and enter the details of the people who will hold the Mount Teide permit. It's nominal, so it's non-transferable. Choosing the date and time is where you're going to need some luck with availability. If you choose this option, apply for the Mount Teide permit online with a minimum of 2 or 3 months in advance. If you have requested your Mount Teide permit through the Teide National Park and there is no availability for the day you require, do not worry, there is still hope: let's move on to the second option. Out of the 200 online permits that the National Park provides each day, a number are reserved for the National Park’s official guides so they can introduce Teide to every traveller willing to discover it. 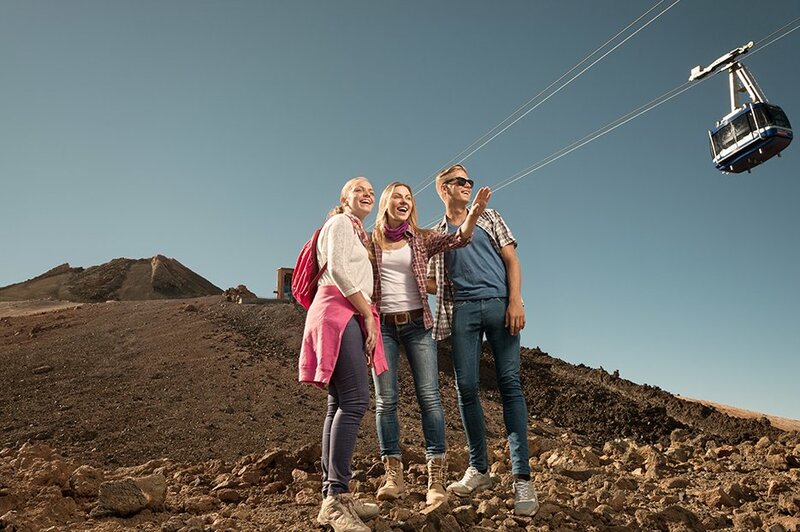 At Volcano Teide Experience we have official guides who will tell you everything about the volcano and every day we help dozens of people fulfil their dream of climbing to the highest point in Spain. In order to achieve this we offer you many experiences. 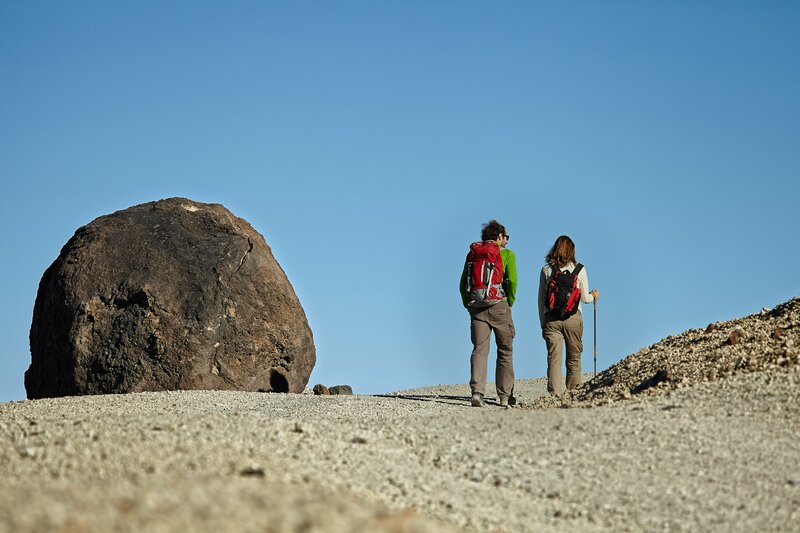 These are activities carried out on Mount Teide that allow you to explore it as you wish. The most popular is the ascent to the peak, with or without transport. If you choose it without, did you know that you can explore the rest of the National Park at your leisure? But that’s not the only option. For example, how would you like going up making a physical effort, spending the night in the refuge and reaching the top to see the beautiful sunrise? This is the preferred option for adventurers who like to test their fitness and is only suitable for those who push themselves to the limit. You wouldn’t the Mount Teide permit in this case. There is more information about this option here. On the other hand, if you want to take the cable car to La Rambleta and reach the peak with one of our guides, get the Teide permit online to walk the beautiful path that takes you to the summit and enjoy the views from the highest point in Spain, you have to read this article to know all your options. + Can you climb the Teide peak without a permit? - Yes, but you will have to leave the restricted area (the Telesforo Bravo trail and Teide peak) before 9.00am. For this, you will need to spend the night at the Altavista refuge. We tell you everything about this here. There's no other choice. 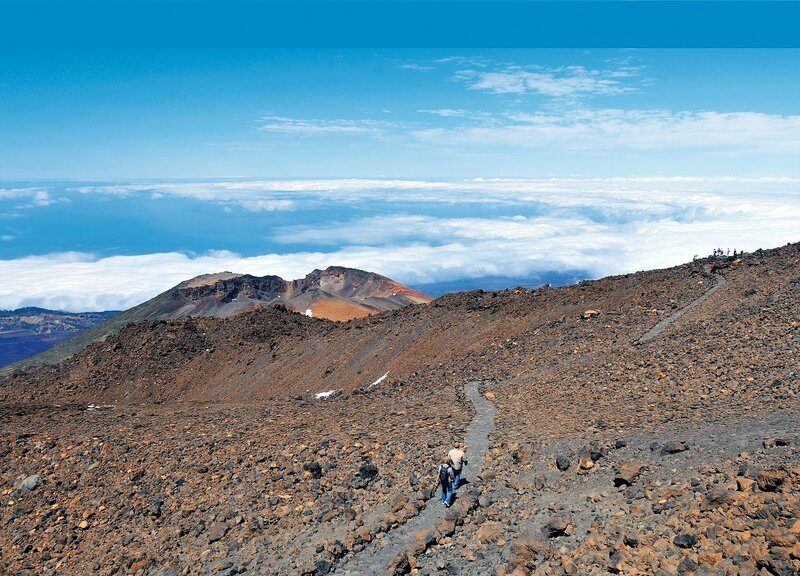 + Can you apply for the Mount Teide permit in person at the Teide National Park? - No, not at all. You can only request the Teide permit online, through the National Parks’ website or acquire one through companies that work with Teide National Park guides, such as Volcano Teide Experience. As we have mentioned, always in advance. + How far in advance should I ask for the Teide access permit? - It depends on when you are coming to Tenerife, but if you are going to apply for the Teide permit online through the National Parks’ website, we recommend that you do this with a minimum of 2-3 months in advance. If you want to get the Teide peak permit, you can do this through us 2 days in advance but, like you, there are many travellers who plan ahead so we recommend a minimum of 7 days. You must make sure you book your Mount Teide permit in advance as you don't travel to Canary Islands every day! + Does the Teide access permit last all day? - No. If you go on your own, the Mount Teide permit is valid in four different time slots: from 9.00am to 11.00am, from 11.00am to 1.00pm, from 1.00pm to 3.00pm or from 3.00pm to 5.00pm and you would have to buy the cable car ticket for a compatible time. You will only be able to access the trail and the peak at the chosen time slot. The maximum amount of time for being at the top (between the upper station, the trail and the peak) is 2 hours. If you access the upper station of the cable car without the permit, you are only allowed one hour. Note: the last cable car ride is at 4.50pm except in July, August and September, when it is at 6.50pm, and in October, only until the time change day at 5.50pm. Here you can find all the information about the cable car timetable. If you get the Mount Teide permit with the Volcano Teide Experience activity for ascending to the Teide peak, the meeting point will be at 9.15am at the cable car base station (if you choose the option without transport; if you choose it with transport, we will pick you up at your hotel sooner) and the activity will last 3 hours. Our guide will accompany you at all times. There is also a VIP ascent to the peak: how would you like to enjoy this activity in a private group? No one to bother you and a guide at your complete disposal. In that case, the pick-up would be at your hotel between 8.00am and 10.00am. + How do I prove I have the permit to the Teide peak? - At the entrance of the Telesforo Bravo trail a member of staff of the National Park will ask for your accreditation. It is necessary that you show it, printed or on your phone, together with your identification document provided when applying for your Mount Teide permit. They're nominal, so without proper identification you won't be able to get in. Bear this in mind! + How can I see the sunrise from the peak? - By spending the night at the Altavista refuge and leaving to climb the peak at very early hours in the morning. In this case you will not need the Mount Teide permit, as long as you are out of the Telesforo Bravo path and crater area for 9.00am. + Does applying for the Mount Teide permit ensure that I get to the top of the volcano? - No: Occasionally, due to bad weather or other conditions, the Telesforo Bravo trail is closed. In that case, if you have got your Teide permit online, you will have to contact the National Park (pnteide@tenerife.es or + 34 922 922 371). They are in charge of managing the permits and not the cable car. If you have got your permit with our climbing to the peak activity and the trail is closed, you will be able to enjoy an alternative route that we will offer you. + If I use the cable car to go up to La Rambleta, do I need the permit to access the trail? - Yes, absolutely. The permit is independent from how you get to the beginning of the path. If you want more information on how to climb the peak with the cable car, don't miss this post. + If I can’t get the permit to climb the Teide peak either way, what can I do? - Can you remember that at the beginning of this article we mentioned three trails, and that only one of them reached the Teide crater? The other two, although they do not reach the top, are also really interesting. Our favourite one is the one that leads to the Pico Viejo viewpoint, over a huge multicoloured crater with 800 metres in diameter. We tell you more about this in this article. What if I have the permit to climb the Teide peak and the cable car is closed? - If you go on your own and due to bad weather or technical reasons the cable car is closed for the day of your permit, you will be able to use it only on the first day the cable car reopens and after the date of your application. Change the day of your cable car tickets free of charge on the Manage your booking page. You only need your booking locator, the email you provided when making your booking, and a couple of clicks. That day must fall within the three days following your requested date and you will only be able to access the Telesforo Bravo trail if there are places available, giving priority to those who already had their ticket booked for that particular day. To do so, contact the National Park or, if you are already there, one of the Park’s members of staff. If instead of going on your own you have booked the ascent to the peak with us and the cable car is closed, you can enjoy an alternative path that we will offer you. Have we answered all of your questions? We hope so. If not, here is a general guide of the different options you have to visit Teide: a complete guide where we have gathered all of the important information on one of the most spectacular peaks in the world. Your turn: what do you choose? We’ve told you all about the permit to climb Teide and now it’s up to you to decide whether you want to enjoy Mount Teide on your own or to explore a dormant volcano with Volcano Teide Experience during your trip to Tenerife.